Learn about writing games and prompts for your community and how members can share their writing. Within your community, your members can share their writing and participate in community writing activities. 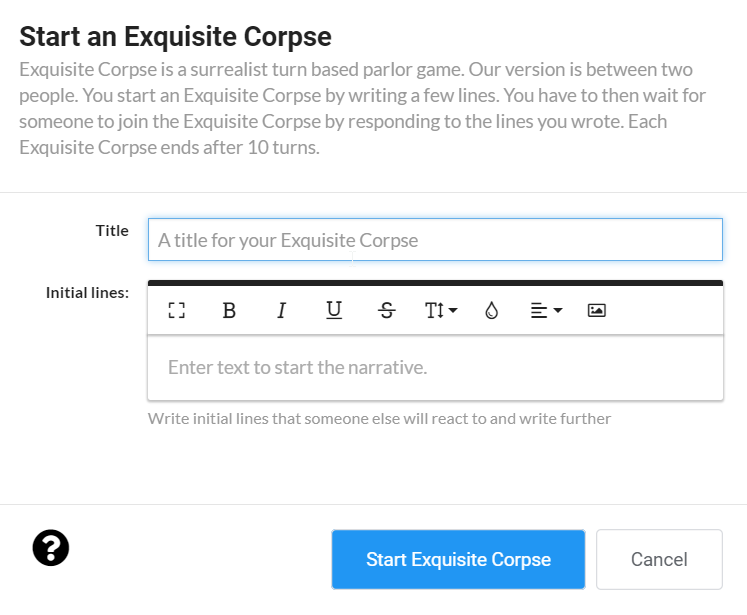 You can set up weekly writing challenges, they can play the back-and-forth writing game called "Exquisite Corpse," or they can share their writing for community feedback. All community members can "Write Something" from the 'Community Home.' 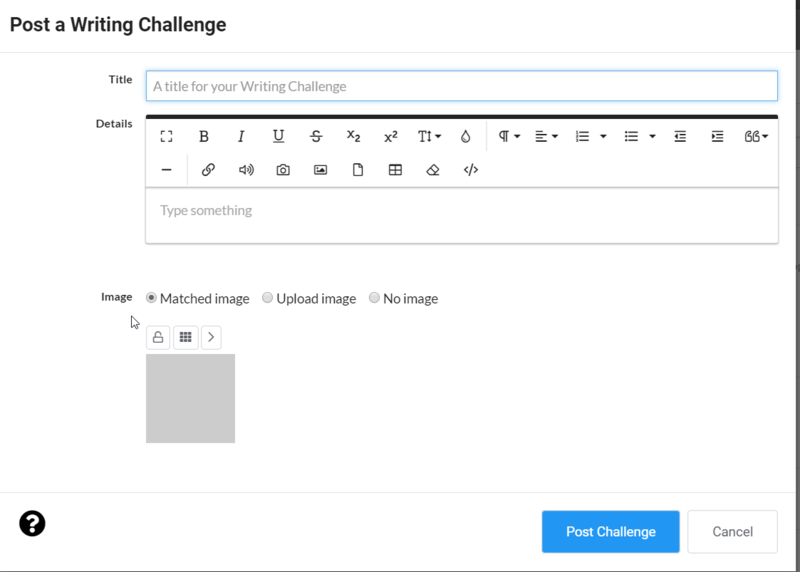 They can post writing challenges and start an exquisite corpse (more details on these options below), or share their own writing by choosing "Write Something New." They will be taken to an editor similar to the one they would use in the online class. They have the option to "Save Draft" to work on later or "Post" right away. Any writing that is shared by a student is placed on the 'Stories' page. 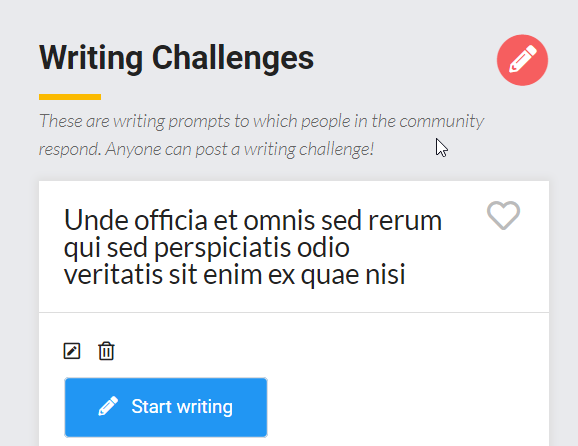 You can set up weekly writing challenges within your community through the community settings, post a single writing challenge at any time, and community members can post them. You will go to "Administer Community" and then choose a day of the week from the drop-down menu by "Challenge of the Week." After choosing a day, you can add challenges. You can queue quite a few challenges in advance. Challenge can be seen on the middle part of 'Community Home.' You can also add additional challenges here. 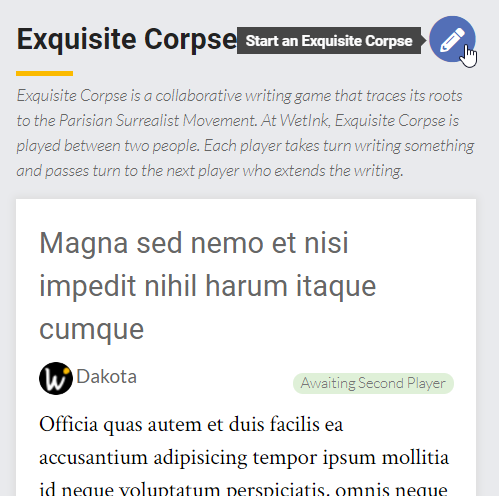 Exquisite Corpse is a collaborative writing activity that is played between two people. Each player takes turn writing something and passes turn to the next player who extends the writing. Members can open or join a game from 'Community Home' or from the 'Exquisite Corpse' tab (where all games will be listed). The person who starts it will create an initial line, then waits for a second player.